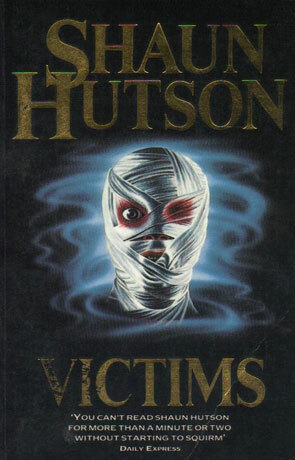 Back in his heyday Shaun Hutson was a prolific writer of horror novels. When people ask what defines a horror novel, depending on who you ask, you will get a plethora of answers. The horror genre has changed so much over the years as also the number and type of things people are frightened of has changed. These ephemeral fears can be anything from rats and spiders to killer clowns, psychopaths and vampires. As we can see from this briefest of lists, the fears can be both real and fictional dependent on the author and the story. Shaun Hutson sits smack in the middle of these real and fictional fears, he has even written about killer slugs. What Shaun does really well though is turn the visual aspects of the gore fest movies and put them into words on a page. During this heyday period he managed to create books where there was always an element where you just had to cringe at, a piece of writing so visually horrifying that you just have to wonder how it got published in the first place, a true X-rated novel. Somehow he gets away with it, he writes things in novels that would never get on the silver screen without the censorship police come hounding for his blood. Take this book for example, and please, look away now if you have a weak stomach, a character takes a dead baby puts it in a microwave and cooks it until it explodes, and this is done in the name of art for a movie. He really does make you want to skip a paragraph or two. The story behind this novel is quite good though, and doesn’t need to rely on the gore to sell the book. It tells of a special effects creator who gets blinded during an accident on set and has one of his eyes transplanted with that of a killer’s. This allows him to see an aura around certain people in photographs; these aura surrounded people are all victims and are destined to be murdered. His “ability” allows him to see these people, and during a killing spree the like of which Britain has never seen this can come in handy, if people believed him. The twist that comes at the end of the novel is pretty good, with a double twist just for good measure. There are a few plot holes that you wonder about but don’t let that detract from your enjoyment of this “horror” novel. Written on 23rd August 2012 by Arron.